The June 2018 round of The Arcade is open! 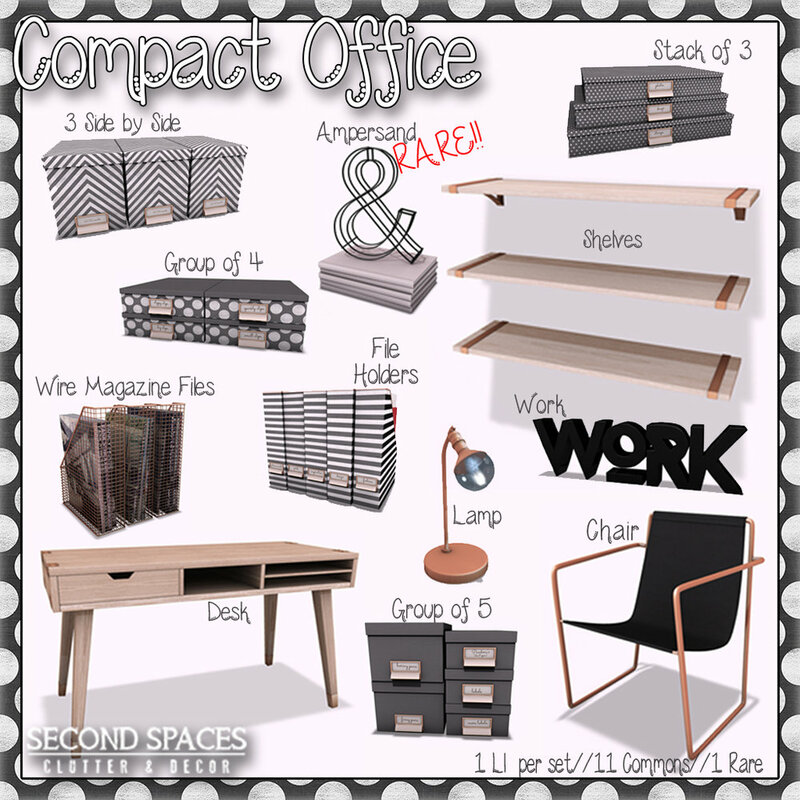 From Second Spaces: the Compact Office. A great little set for organizing and downsizing and making the most efficient use of your space! There are 11 Common items and 1 Rare -- just 50L a play, and available exclusively at The Arcade through June 30! Newer:ocean breeze.Older:to the gypsy that i was.